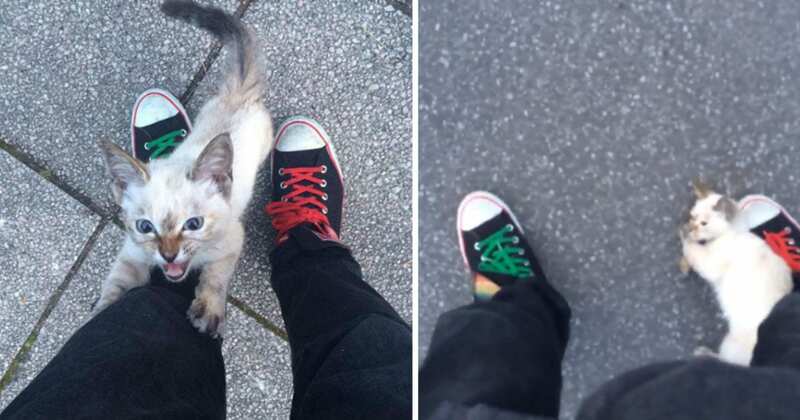 A musician named Kawasaki Hina was walking home through his local park one day when an adorable stray kitten ran up to him. The little white and brown kitten immediately took a liking to Hina. She started following him around the park, darting between his legs. She also rubbed her head against his shoe. Hina played with the kitten for a bit, and then he tried to start heading home again. But the kitten refused to let him leave! 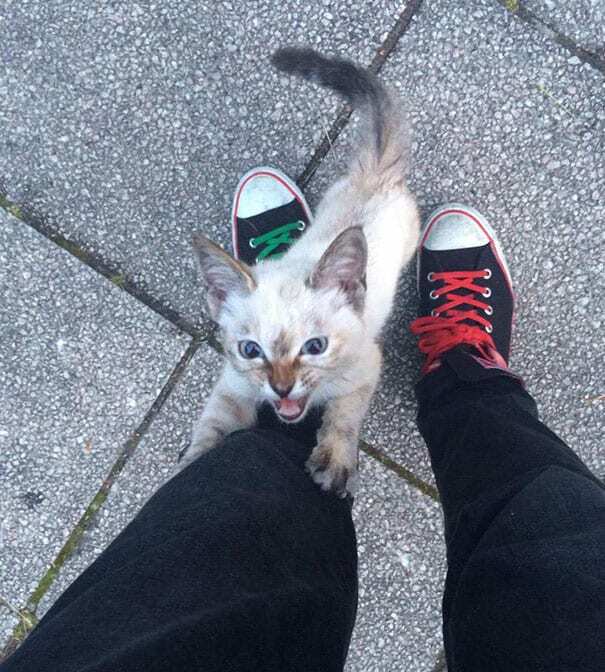 The kitten latched onto his leg, hugging it tightly. She looked up at him with her big blue eyes, and Hina’s heart melted. The kitten clearly fell in love with him at first sight, and Hina was quickly falling for the kitten too. 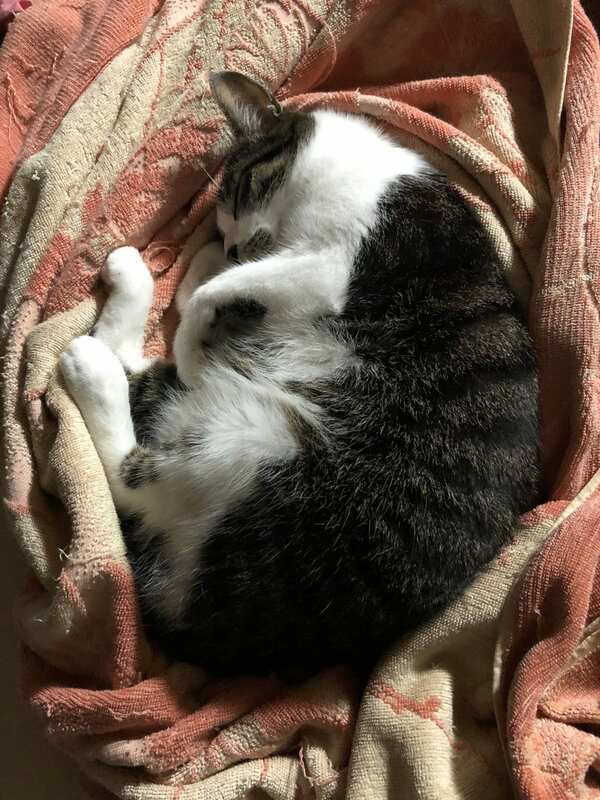 Hina shared a sweet video of the kitten on his Twitter page. 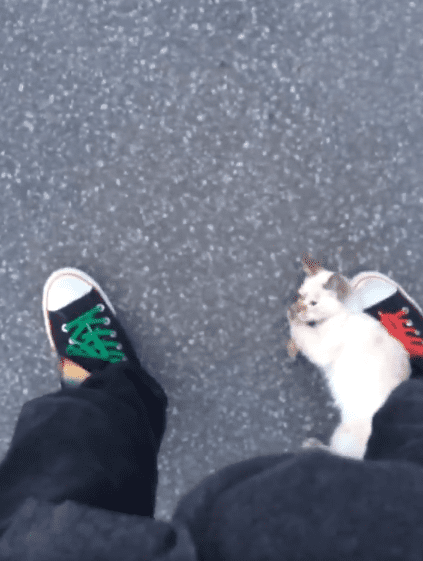 The video shows how smitten the kitten was with Hina—she had a great time weaving around his feet. Hina found a box, and he put the kitten inside it. Then, he carried her home. The kitten meowed happily. She had gotten exactly what she wanted! 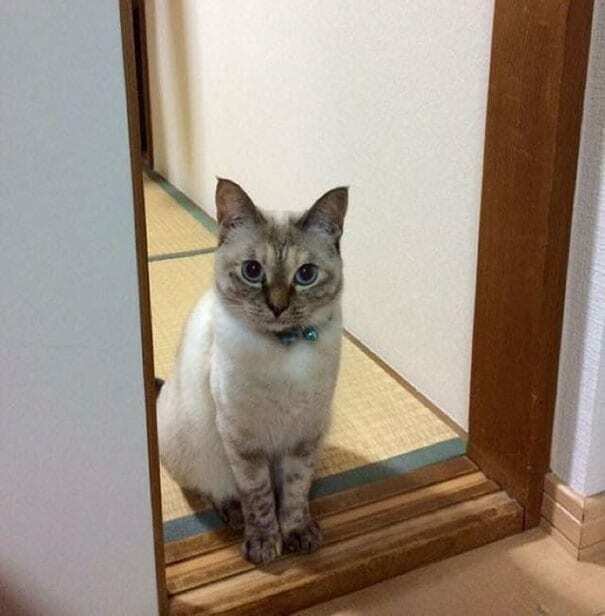 When Hina and the kitten got home, the kitten looked around a bit, taking in her new surroundings. Then, she made herself comfortable. 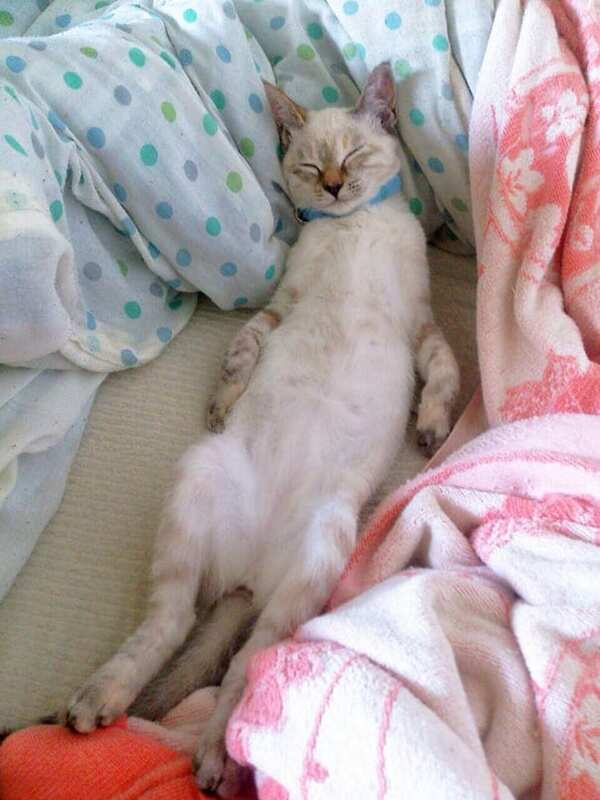 “She fell asleep immediately back at my house,” Hina told Bored Panda. Hina named the little kitten Vell. Vell loved everything about her new home! Vell enjoyed finding new places to sleep in the house—she was particularly fond of curling up on the couch. Vell also loved spending time with her dad. 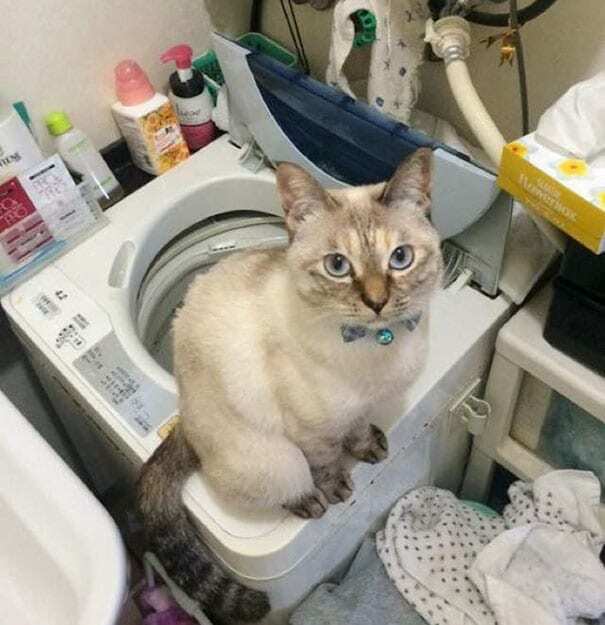 She even helped him do his laundry sometimes. Hina loves Vell more than anything, and he can’t imagine his life without her now. Now, Vell is all grown up, but she still loves her dad more than anything. Hina also took in another sweet cat who loves cuddling with him—clearly, Hina is a true cat whisperer! Hina’s new cat and Vell also get along very well. They’re still learning how to share how their dad, but thankfully Hina always makes him for both of his kitties. Hina is a kindhearted young man who has done an amazing job looking after Vell and his new cat. 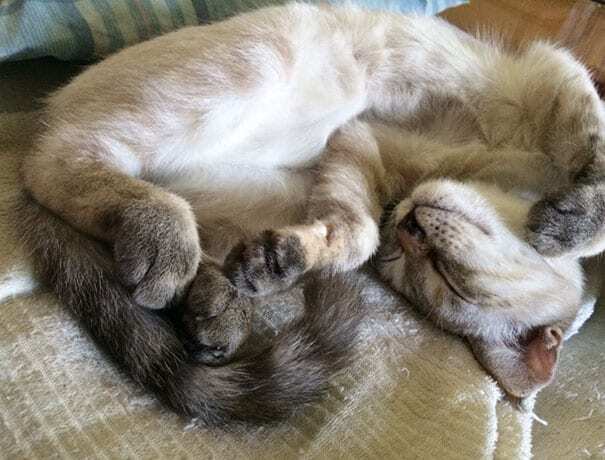 We’re so glad these cats found such a purr-fect forever home!